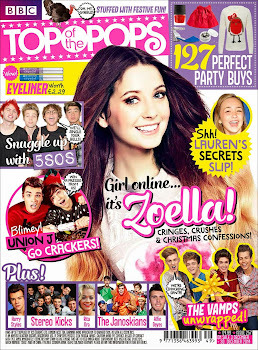 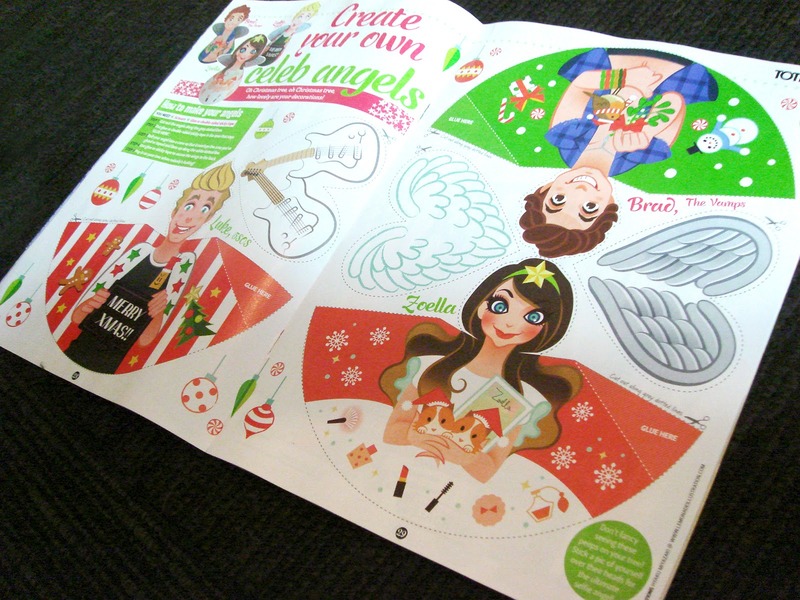 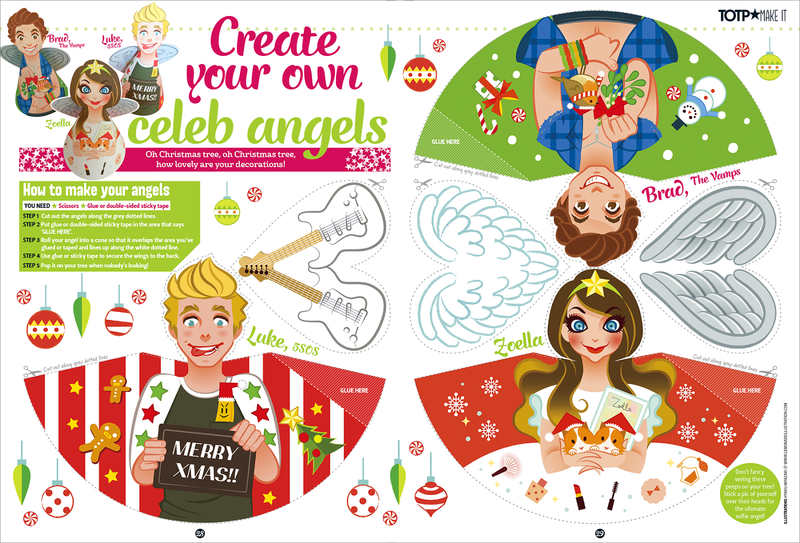 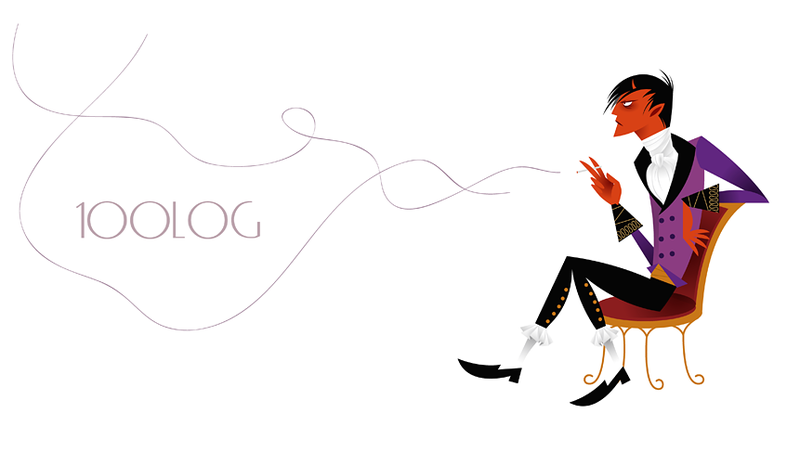 Illustration for Top of The Pops Magazine 257 (UK) - Create your own "celeb angels". 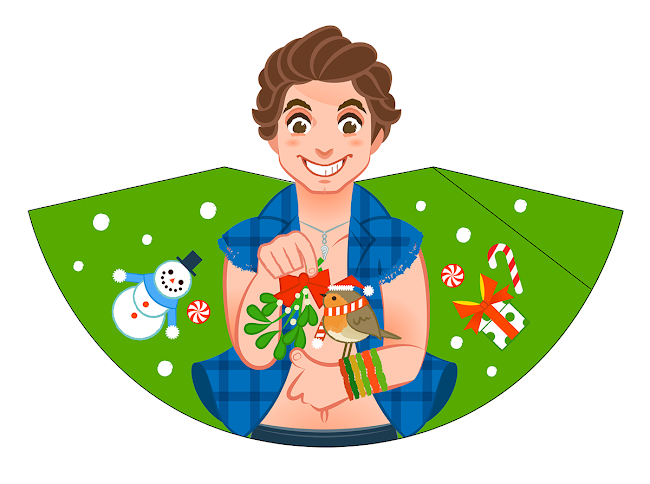 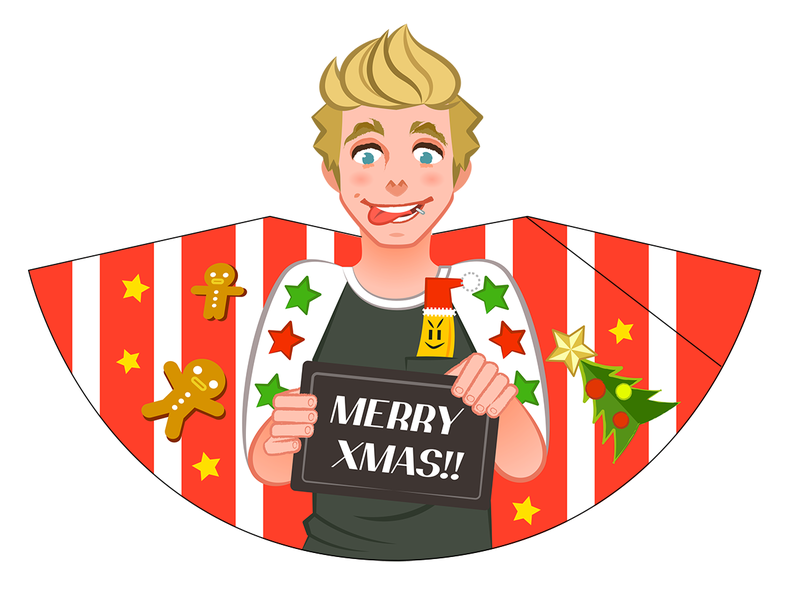 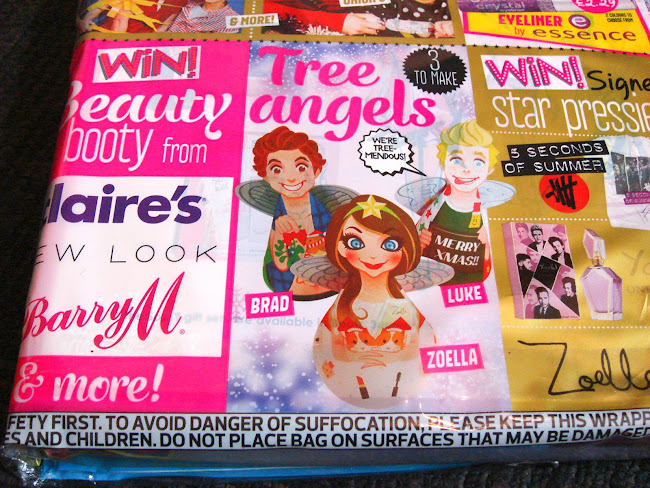 It is the Christmas tree ornament of Zoella, Luke(5SOS), Brad(The Vamps). 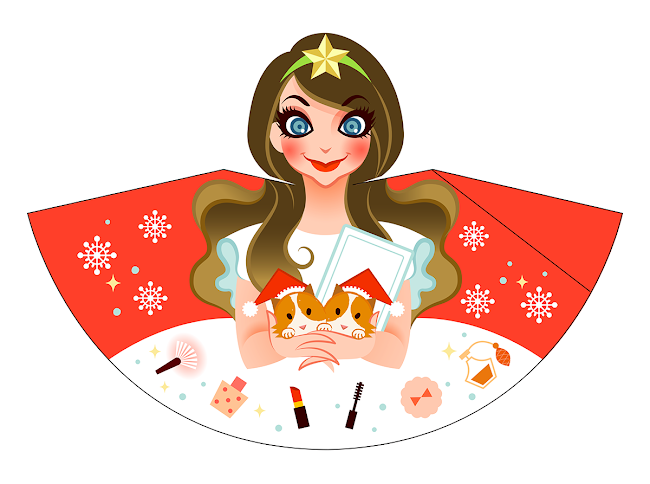 Merry Christmas to you, and may your life be full of happiness and joy!